As of this writing the last book in the alphabetical list (by author, then title) of books I have reviewed, this multiple-award winning, longtime international bestseller hardly needs boosting from me. I, rather, needed a boost while listening to the public library's copy of the audio-book read by Alan Corduner. My throat got choked up and my eyes blurred with tears, a dangerous condition on the kinds of roads I drive daily. I'm seriously going to have to get hold of the 2013 movie adaptation featuring Geoffrey Rush, Emily (not Emma) Watson, and the music of John Williams. The story is narrated by Death, for starters. For the main course, it takes place in Nazi Germany during World War II, when a girl named Liesel Meminger learned to love everybody in her low-income neighborhood before losing them in an air raid. Don't worry. I'm not actually spoiling anything, because Death does that. But while you know the outline of what's coming, the tragedy still drops on you like a bomb. A foreseeable, inevitable, but devastating explosion of grief and loss. Also, in the midst of one of the ugliest chapters in modern civilization, it provides a moving depiction of courage, humanity, and for lack of a better word, love. Liesel comes into the Huberman family as a foster child when her mother, implicated in a purge against Communists, has to go away. On the train ride to the Munich suburb where the Hubermans live, she witnesses the death of her six-year-old brother, a trauma that haunts her nightmares for years. She also happens to pick up, out of the snow, a mislaid book called The Grave Digger's Handbook. It proves to be the beginning of a career in book stealing made all the more remarkable by the fact that, at first, she cannot read. Hans Huberman, or Papa, turns out to be a kind, gentle man who paints houses and plays the accordion. Rosa, or Mama, is a short, wardrobe-shaped woman with a sharp temper and a sharper tongue. Liesel finds healing in the glow of their love, aided by the cheerful antics of the yellow-haired boy next door. Somehow the family manages to save a young Jewish man from the Holocaust without suffering a tragedy of the Anne Frank variety. But as the tide of war slowly turns against Germany, life on Himmel Street becomes increasingly perilous. Bomb scares, trouble with the Nazi party, and a string of petty crimes mingle with such joys as children's sports, young love and the pleasure of reading. In the end, it all seems to illustrate the fragility of life and the endurance of love. Zusak is also the author of The Messenger, a.k.a. I Am the Messenger, which I have read; and of the trilogy The Underdog, Fighting Ruben Wolfe and Getting the Girl, which I have not read. Evidently a writer who never takes a word for granted or writes a thoughtless sentence, he has a knack for describing things in vivid new ways. The effect is a quirky style that seems both clear and strange at once, so when he fires an emotional missile it goes straight through your heart. Jubilate is the mass for the third Sunday after Easter, otherwise known as the fourth Sunday of Easter, otherwise known on the post-Vatican II liturgical calendar as Good Shepherd Sunday. 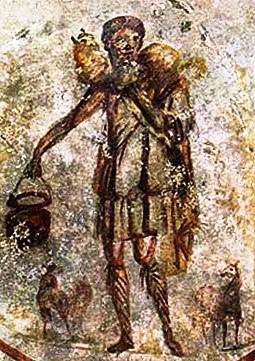 In the historic lectionary it is the first of four consecutive Sundays in which the Gospel lesson is a non-sequential selection from John 16, in this case the "A little while" passage from verse 16 through "In that day you will ask Me no question" at the beginning of verse 23. The Epistle is 1 Peter 2:11-20 and the Introit is at least the opening couple verses of Psalm 66. The tune I have in mind for this hymn is the underutilized chorale MAG ICH UNGLÜCK NICHT WIDERSTAHN. The hidden presence of My face. Joy yet more deep come bearing." When our strength fails, uphold us! And sneering lips that scold us. Till safely You enfold us. His name and works with songs of praise. Through ground that slides safe steering. In but a while appearing. It's really awkward to read the first six books in a series and then skip to the fifteenth book. I usually refuse to continue reading a series when I have to skip over even one book. But this was ridiculous - skipping from The Haunted Air to this book, in publication order the last novel in the Repairman Jack series. I caught on pretty well once things got moving, though I still feel a sharp need to catch up on Gateways, Crisscross, Infernal, Harbingers, Bloodline, By the Sword, Ground Zero and Fatal Error and bridge the gap in my reading of Repairman Jack. There was another awkwardness at the end of the book. Partly this is an artifact of the Repairman Jack series being intertwined with the Adversary Cycle, of which the only book I have read is its second installment The Tomb, which also spun off as the first book in this series. Though the entire Adversary Cycle including its conclusion in Nightworld pre-date the publication of the Repairman Jack series (excepting The Tomb), Nightworld apparently contains the conclusion of this series as well. At least, I hope so. 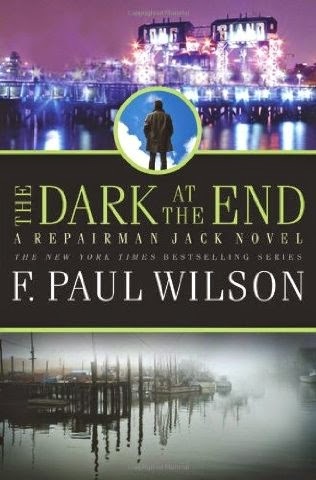 From Legacies to this book, Wilson brought forth a Repairman Jack novel every year from 1998 to 2011 and hasn't written once since, having moved on to other projects. So it doesn't seem likely a more satisfying conclusion to the cliff-hanger at the end of this book is going to turn up. And the ending, pardon the spoiler, looks pretty grim. If, like me, you've been tuned out since The Haunted Air, you might be surprised to find this story opens with the world in imminent peril of being taken over by a hostile cosmic force called the Adversary or the Otherness. Its representative on earth, the virtually indestructible Rasalom, also known as The One, has come close to swiping our world from under the protection of the Ally, but he has one more trick up his sleeve and this one might really do the job after all. As Jack's power grows as the heir to the Ally's formerly-immortal human guardian, he sees a unique opportunity to take Rasalom out of the equation. But his one chance depends on a teenage mother of an only part-human baby to stay on the script while Jack's back is turned, so when she inevitably messes up the plan, tragedy and horror ensue that will leave the world teetering on the verge of a hideous change. The reason I broke my own rule against skipping books in a series (let alone eight of them) is that I needed an audiobook to fill the gap while the library was repairing a scratched disk in Markus Zusak's The Book Thief, which I had really planned to be reading at the time. I had to grab something quick because the library was closing and I didn't see anything else that interested me on short notice. Plus, alas, it turns out my community's library doesn't hold any of the earlier books in the series. Happily, the Zusak book is ship-shape and playing in my car stereo now. Meanwhile, I enjoyed Christopher Price's audiobook performance of this book. I believe I've heard him read some of the earlier books in the series. Simply put, his voice is Repairman Jack's voice in my mind's ear. Besides catching up on the books I missed, there are more hours of Repairman Jack enjoyment in store for me. My local library does hold audiobooks of a prequel trilogy about "Repairman Jack, the Early Years," titled Cold City, Dark City and Fear City. There is also a trilogy of young adult Jack books, Secret Histories, Secret Circles and Secret Vengeance. And of course, there's still the six-book Adversary Cycle, starting with The Keep, which in a way I've already skipped in another inadvertent slip of my principles. Oh, well. Sometimes you take your experiences in the order life deals them to you. The experience of this book, though out of context, out of sequence, and out of desperation, was so fraught with suspense and creepy-crawlies that if I see another book by F. Paul Wilson, I won't be able to resist. Safe in Your trusty hands. And bade us try Your love. Our case is surer still. To ask, we will receive. Men’s hateful words and blows. And cling to You in prayer. Assist the poor and weak. Nor let us toil in vain. All rulers and all lands. 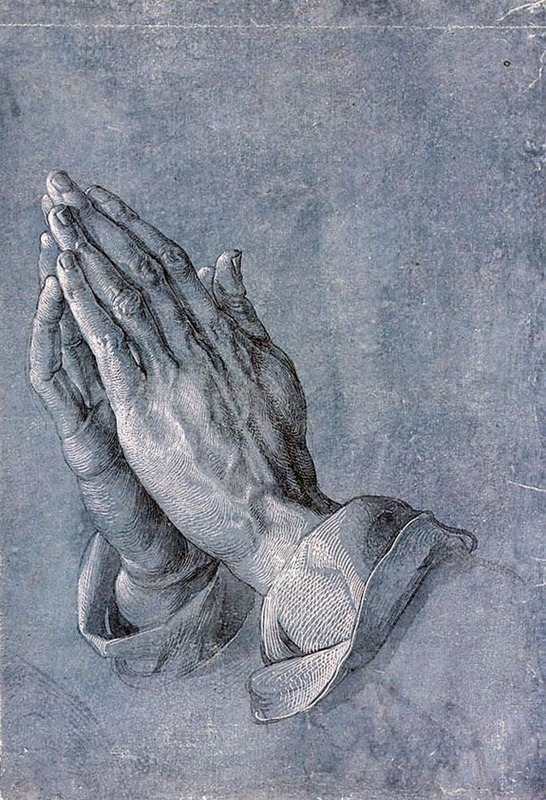 Would You withhold through prayer? Our cares on Him are laid. You gladly give us all. 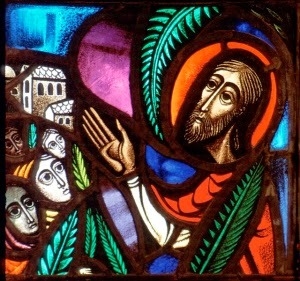 The mass for the Second Sunday after Easter, or the Third Sunday of Easter, is named Misericordias Domini, meaning "goodness of the Lord," after the introit from Psalm 33, using as an antiphon the second half of verse 5 and the first half of verse 6: "The earth is full of the goodness of the Lord. By the word of the Lord the heavens were made." The traditional (pre-Vatican II, historic one-year series) Epistle for the day is 1 Peter 2:21-25 and the Gospel is John 10:11-16, from which the day gets its other name - Good Shepherd Sunday. Note, the post-V2 liturgical calendar puts Good Shepherd Sunday a week later. Who makes men righteous by His Word! Their host His breath to being brought. And gives His people's praise its worth. Laid up the garners of the deep. And righteous acts He loves to do. With instruments and voices strong! His own wise counsel ever stands. And to their work His grace imparts. Against the One who judges sins. Who hopes in Him shall never die. That by His stripes we healed might be. When home to God He led our way. Than He who died for such as we. Dwell safely, fed in pastures choice! I woke up from a dream this morning with an idea that, at least lying awake in bed in a haze of drowsiness, I thought was pretty clever. Though I don't remember what the dream was about, the idea goes like this. You know how I've often complained about that loud beep the phone company plays in your ear when you incorrectly guess whether or not you should dial a 1 at the beginning of a phone number? Oh, how that annoys me. It might just be the pet peeve of my life. I've lived in at least two metropolitan areas where there are local numbers in three, four, or even five different area codes - and there are numbers starting with the same area codes that would be a long distance call from the same local dialing area. The trouble is, you only find out whether a particular number is long-distance (and so to be prefixed by a 1) or local (no 1 prefix) until the phone company screams a deafening tone in your ear and instructs you to dial again, with or without the 1. I ask you, as I have asked many times before, why a computer that can instantly detect whether a phone number should or shouldn't be prefixed by 1 can't interpret your intentions without complaint and simply connect the call. If it knows which way is correct, it knows where the number you are dialing is located and doesn't need to correct you, hurt your ears, damage your hearing or force you to spend more time dialing the same damn number. Sigh. So here's part one of my suggestion: Just program the phone company's computers so that all regular phone numbers start with a 1. Period. Basically, this would turn all 10-digit phone numbers into 11-digit numbers beginning with 1. Now, carrying that thought further, suppose you used different prefixes to accomplish different things. 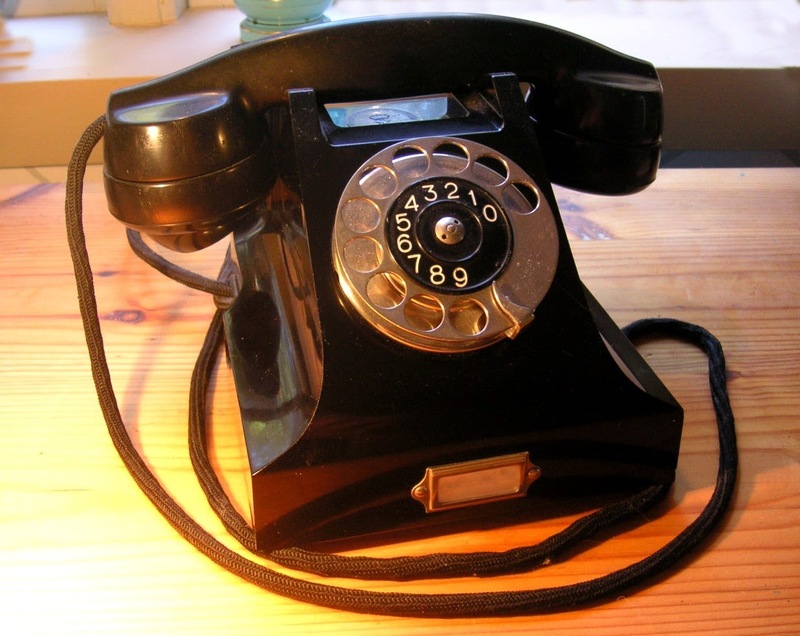 "1" could designate a regular phone call. "2" could prompt the phone company to send you directly to the voice mail account associated with the number. Having an account set up to go with each number is another problem. Maybe at first it'll be on you to know whether there is one or not, at risk of having a tone blared in your ear followed by an error message. But if there is a voice mail account on the number, even the phone's user could dial directly into it and then punch in a PIN during the outgoing message to log into their account. "3" could be to use voice recognition software to convert your voice message into a text or an email associated with the phone number, with the same caveat as to whether such a texting or email account exists. This prefix could also be used for TTY calls, text telephones for the hearing impaired. I don't know what all the one-digit prefixes could be used for at this point. I imagine you might want to keep 0 for the operator, 4 for information, 9 for emergencies and 8 for toll-free calls. Maybe 7 could be pay-by-the-minute calls, like tech support hotlines, psychic advisers and telepimping. That still leaves 5 and 6 for unforeseen applications, or to catch the overflow of cell numbers. But with a whole prefix set aside for, say, information, you could bring a lot more research applications within the fingertips of a telephone user than just looking up listed land-line numbers. Each cell provider could provide listings of its users. Government agencies could have their own prefix, or maybe one for agency phone numbers and one for research hotlines available for their use only. There could be a prefix for reverse-directory lookups of a given phone number. Maybe all these ideas are past their time. With smart phones and devices, people may soon learn to get by without dialing phone numbers at all. Everything will be a hot link, designed by their smart device's visual interface to look like a button labeled with the name of a person or organization; you poke that spot on the touch-screen and it dials for you without troubling you to note the seven, ten, or eleven digit number it just dialed. Phone numbers could be going the way of IP addresses - those strings of numbers that designate each device connected to the web. Unless one has a very technical web-related job, one rarely has to look up that number and would probably have to look it up if asked for it. The IP number is embedded in code most of us never look at, represented by graphic buttons and whatnot. One day, maybe soon, your phone number could be like that. You'll share phone numbers the way people today send each other an email just so they have their address. But when all devices, including phones, become roughly equivalent, will there be enough numbers to go around? That's where planning to add prefixes to make sense of the chaos might make sense. 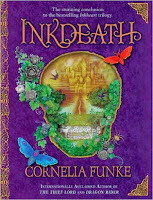 In the concluding book of the Inkheart trilogy, a blended cast of real-world and fairy-tale characters, brought together by a combination of an author's magical words and a reader's magical voice (well, three or four readers, actually), face the crisis that will determine whether the Inkworld lives happily ever after or descends into everlasting darkness and horror. When we last left Meggie, Mo and all the rest, the situation was troubling enough. Dustfinger, the fire dancer who is really the heart and soul of the world Fenoglio wrote into existence, has made a bargain with death, trading himself for his young apprentice Farid, a refugee from the Arabian Nights who also happens to be Meggie's first sweetheart. But now that Farid is back, things are different. He seems to care more about getting Dustfinger back than anything, including Meggie. Dustfinger's wife and daughter haven't recovered from their grief. But there is a bigger problem now. Fenoglio's attempt to rub out the evil Adderhead, also known as the Silver Prince, has misfired. The book Mo bound for the Adderhead, supposedly to make him immortal but really meant to destroy him as the book itself deteriorated, has not done the job. The Adderhead has discovered a way to arrest the book's decay by soaking its pages in fairy blood. This is gross enough, but with the Adderhead's body arrested at a comparable stage of decay and his temper nastier than ever, things start to get really unpleasant in the Inkworld. The silver-nosed Piper threatens to round up the children of Ombra and work them to death in the Adderhead's silver mines. Orpheus, a selfish man-child who combines a lesser form of Fenoglio's writing powers with a mild version of Mo's silver-tongued ability to read people out of books and into reality, is starting to rewrite reality to suit his personal ambitions. The witch Mortola, who can transform into a magpie, still wants revenge on Mo for the death of her villainous son Capricorn, and she isn't above dropping poisonous words and berries where they can do the most harm. The Adderhead's daughter, pushed off her late husband's throne in favor of her father's Milksop brother-in-law, wants to enlist Mo's aid in killing the old man so she can be queen. And thanks to the power of Fenoglio's words in a series of ballads celebrating the deeds of a heroic robber that he modeled on the real-life Mo, Violante isn't the only one who thinks Mo is the Bluejay. The role is starting to play the man. Meggie and her mother Resa aren't sure what scares them more: the chance that Mo will perish trying to do what Violante expects of him, or that he might lose himself as the Bluejay continues to take over. Having said this, I have only just set the stage for a complex, suspenseful, exciting adventure full of magic and danger and good people doing their best against seemingly unstoppable evil. It has glass men and giants and brownies and torturers and rainbow-colored fairies and a tame bear and a man whose words have the power to shape the world, especially when read aloud by certain people. Unfortunately that man has writer's block, and an evil plagiarist has found out how to use his words to bend the story in a different direction. It has two men returned from the dead on a mission to kill an immortal monster, but under the terms of their bargain with death, if they fail not only will they die again, but Meggie will die too. It has a book that will keep its owner alive forever, albeit in hideous torment, unless three particular words are written in it. It has a pregnant woman who learns to change shapes and a situation so fraught with danger that she risks it, even though she does not know how it will affect her unborn child. And it has a climax in which everything depends on the least trustworthy character in the Inkworld and in which, as I listened to Alan Corduner's audio-book narration at the wheel of my car, I found myself pounding the steering wheel and screaming, "Write it! Write it!" 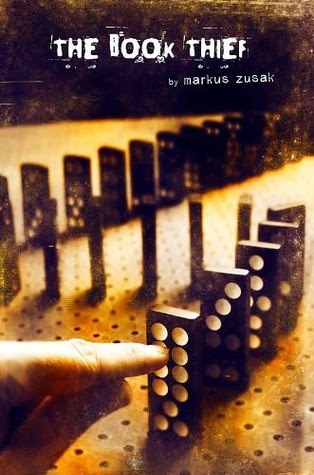 Originally titled Tintentod, this book was translated from German by Anthea Bell. 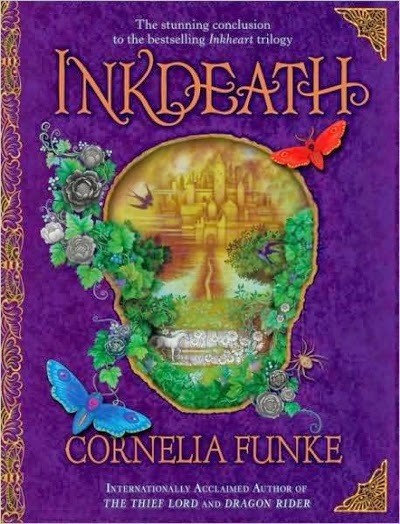 Funke is also the author of the MirrorWorld books Reckless and Fearless, a quartet of juvenile Ghosthunters books, and several stand-alone novels for kids, including the recent titles Young Werewolf and Emma and the Blue Genie.